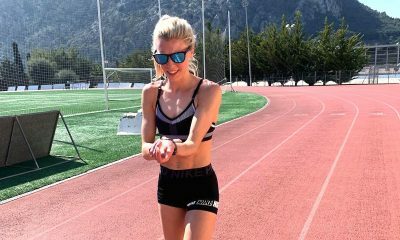 Alexandra Bell reflects on her start to 2019 after learning important lessons regarding illness and competition last year. Kick starting the New Year with a 12-hour sleep, a 6 am alarm for work and fighting off the remains of cold is nothing out of the ordinary, new or special in the Bell-Norman household. For the last two years, I haven’t been the luckiest when it comes to being fit and feeling healthy to bring the New Year in. 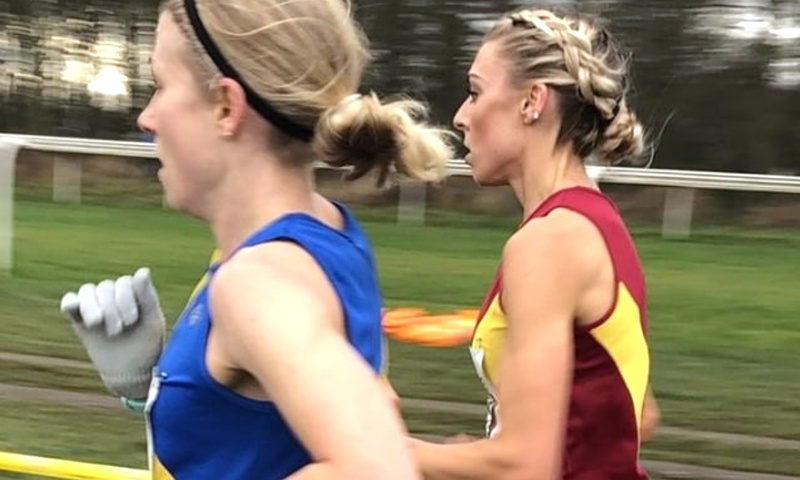 I had intentions to compete in the Yorkshire Championships to kick start 2019 and was in limbo all week whether or not to race. Hosting one of the best cross-country courses in the UK (slightly bias, I know) there is something quite authentic and spectacular about running under rollercoaster’s in an empty theme park at Lightwater Valley, North Yorkshire. Being the proud Yorkshire woman that I am, with strong values when it comes to representing my club and county whenever and wherever I can, being absent from the championships this year left me feeling rather resentful that I could not go out there and produce the results which reflected where I was at in training. Although I had been training very well and built up a good block of work over the festive period, on the lead up to the race I caught the virus that always strikes down the masses this time of year, even the healthiest amongst us. When you know you are in good shape it becomes a bitter pill to swallow having to take the easier route and giving yourself more rest than usual. As an athlete, you are always wanting to progress and wanting more from yourself, and well for me, when I’m not running I get a bit ‘tetchy’ (my fiancé Josh’s description). The most important thing for me to do was not to try and make up for a day off here or a day off there in my runs and sessions and try to compensate for the work that I had missed, which can easily be done. Times like this when your immunes low and temperatures high it’s your body telling you “hey, you need a break” and I’m slowly but surely figuring out that that’s an ok thing to do. With lessons learnt from the summer season, one race in particular stood out for me which made me realise I never want to race ill and put myself through a hell hole ever again (no matter how much you try and act like you are ok, an 800m race will sure suss you out, chew you up and spit you right back out). In the lead up to the London Anniversary Games, 2018 I remember sitting in the Olympic stadium prior to my race with a temperature, light headed, a little dazed and feeling empty looking around at the crowds thinking “what are you actually doing here, you’re not right or ready for this woman!”. I had invited my dad to come and watch me and begged for weeks to get tickets to the event as this would be the first time he has seen me compete in an Olympic stadium in the mix of a world-class field. I did not want to disappoint or let him down when I made such a fuss for him to come and watch. I think if it wasn’t for the pressure to race to prove British Athletics selectors I was worthy of European Selection and to also not show signs of ‘selective racing’ by not avoiding head to heads, I probably would have chosen not to race – especially with what the outcome was anyways! 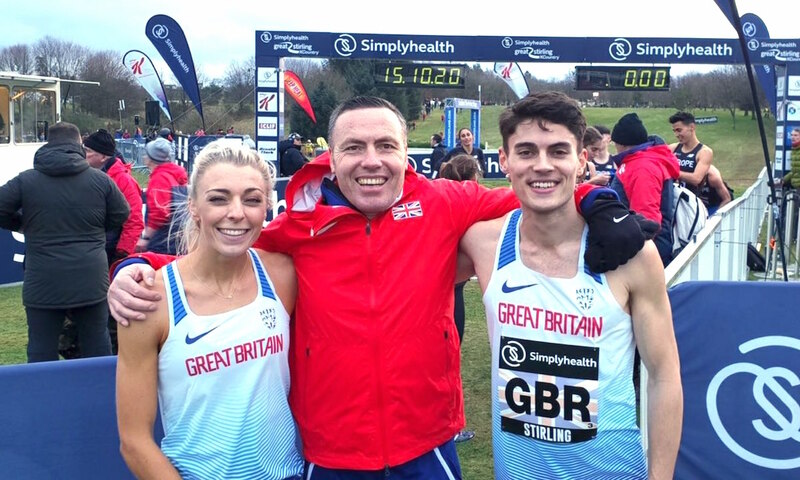 So with my experience at the Anniversary games alongside the promise I made to myself last summer for the future, me and my coach, Andy, made the decision to not race at the County Champs and get back to 100% for the following week in Stirling for the Great XCountry mixed relay. Safe to say, I am glad we skipped the championships and gave it a whole 110% the following week. I can’t express my love enough for a good old cross country relay! With the introduction of them in 2017 at the European Championships, I really hope that they long continue to be a part of the international programme as they are a fantastic way to include track specialists on the country scene. 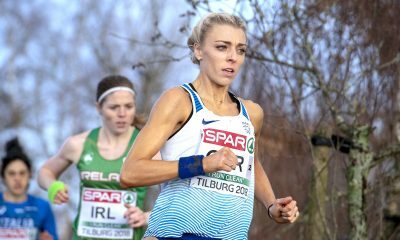 I got the call to be part of the 4×1.5km mixed relay following my performance at the European Championships held in Tilburg. I’m fortunate that this was my fourth consecutive year to be involved with the event and find I have such an enjoyable approach to the relays every year. Being a track runner you can that its quite an exposed place to be, you either run great or terrible and either way, both performances are down to you as the individual, nobody else to blame, simple. 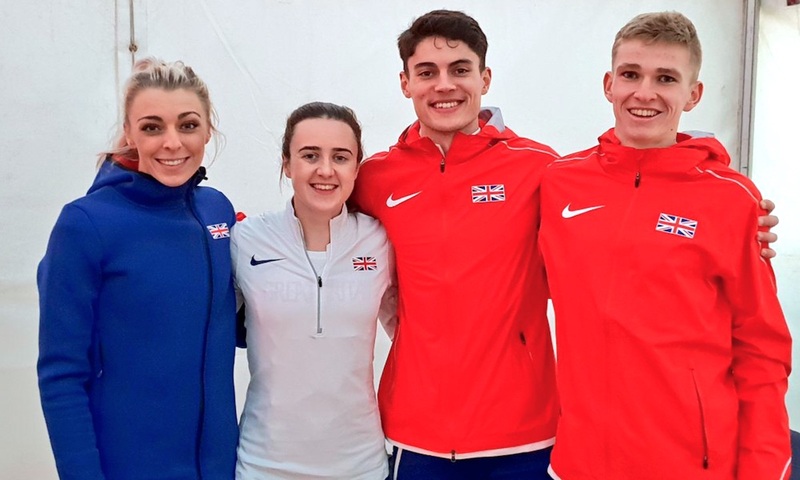 As an 800m athlete, I know I will never ever be fast enough to make the GB 4x100m, but the mixed relay over the cross gives me the chance to be part of and feel a team spirit and also share the responsibility. The team performance in Scotland was so strong and each and every one of us gave it the best we could on quite a challenging and very windy golf course. Phil Sesemann (fellow training partner based in Leeds) and Jamie Williamson both put in solid efforts to maintain a significant lead over the rest of the field to hand over to Laura Muir who brought it home, again, in style. I have raced with these lads a couple of times now and it’s really encouraging to see them both growing in confidence with every race. Hopefully, there will be many more teams we make together for GB in the future. On the lead up to the race, I didn’t have any doubt in my mind that this team would possibly lose, but I never once was complacent or thought that with the company of Laura, we had to work any less or give anything below par and depend on her performance. If anything, having such a strong team lined up drove me on and wanted more than just to win but to go on and run as fast as I possibly could in comparison to the rest of the international athletes lined up. I accomplished my target which resulted in the joint fastest leg of the day with Laura and funnily enough, Phil and Jamie ran the exact same splits too – 4.38/4.38/4.10/4.10. The night before the race I was having some downtime and reading through a book, many athletes will have come across by Jim Afremow ‘The Champions Mind’ which I found really fitting and relatable for the race that I was about to compete in. There was a Japanese story called ‘Ten Jugs of Wine’ which basically explained the difference in working as a team and for each other. A group of men were celebrating New Year with a big hot pot and each needed to bring a jug of their best and most expensive wine. Each one secretly thought that nobody will actually see what I will pour into the pot and because they each thought that their wine was far too good to share, they all decided to bring a pint of water, unbeknown to the others. So the moral of the story is instead of holding back in a group or team effort or not putting in 100% (because you think your efforts will get unnoticed or overlooked) go out there and give your absolute best that you have to offer. And so on race day I did just that, from start right through to the finish, I tried to seize the opportunity to assist my teammates and not take a back seat approach. What I took away from the weekend was to not water down your own efforts thinking that nobody will notice. So after a couple of months of busy work weeks and a hefty training block coming to an end, Josh and I booked some cheap flights to Rome for a four-day break. Instead of Christmas presents, we decided to not waste our money on fancy things or unnecessary gifts that we do not particularly need (especially with a wedding coming up early next year too). We wanted to do more of an experience, go and see something new whilst we have the time to share together. In the summer, it is very different and time can be very limited, especially mid-season with all of your focus on racing, training and good recovery. People often message me when I am away racing saying “you are so lucky to go there: or “you get to travel to so many lovely places”, but what seems to be the ‘extravagance’ to travel the world for competition we as athletes all know it is just a flight with a transfer to a room of four walls, a continental brekky (if you’re lucky), a race then a flight back home again. So as the winter months can seem awfully long, cold and daunting, for me personally I love to break up the winter by taking myself on a mini break. 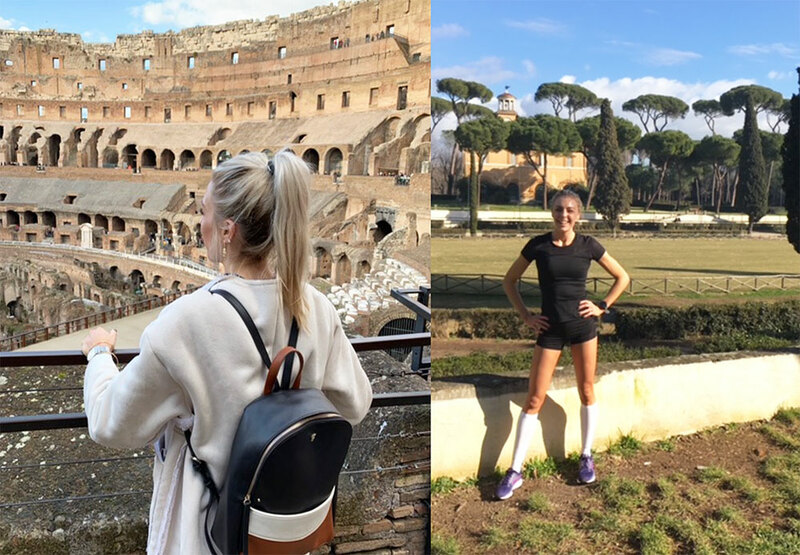 Rome seemed the perfect option, good weather, culture and history on every corner plus the endless bowls of pasta – distance athlete dream! It gives me a week to review the season so far, enjoy some downtime and just have fun with my easy running to then come home, refreshed and ready for the last big block of the season. Although this was an easier week for me in terms of running, I actually clocked up the biggest mileage to date this season – and that was even without realising at the time. It just shows you how a change of scenery alongside a relaxed approach to your training for a short period of time can make clocking up the mileage so much more effortless. Having not completing an 8km race since November, I was very excited to put the Pudsey & Bramley vest back on and line up with the Northern ladies. I finished in fourth place behind Mhairi Maclennan, Lauren Heyes and Jess Judd on a fast, stretched out course. The event was held at Pontefract Racecourse which I found was well suited for me with the conditions and ground being relatively flat and dry. There was so much support around the course, even in the secluded areas. The Northern Athletic Association also did a fantastic job at hosting such a well organised and efficient champs – hats off to everybody who competed and completed the blustery course! I’m now entering my final month of winter training with the next few weeks focus directed on the Nationals, which will be held at Harewood House, Leeds. Usually I would have ended my cross season by now but with the event being held right on my doorstep, it would be rude not to have a run-out! I can soon look forward to hanging the 15″ muddy spikes up and slowly start prepping for, dare I say it, ‘warmer conditions’. Catch you guys soon and will look forward to welcoming some of you in Leeds on the 23rd of February! Alexandra Bell features in the ‘Fast 10: class of 2019’ and over the course of the year will share her running journey. You can follow Alexandra on Twitter and on Instagram, while further information about the ‘class of 2019’ can be found here.